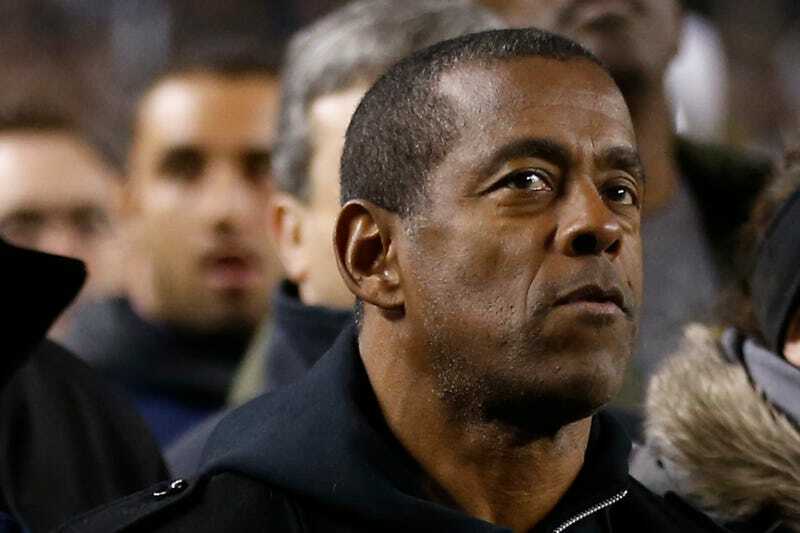 Tony Dorsett On CTE: I Didn't Know "The End Was Going To Be Like This"
In 2013, NFL hall of famer Tony Dorsett was among the first few living football players to be diagnosed with signs of the chronic traumatic encephalopathy, a neurodegenerative disease that manifests as dementia and depression. It's gotten worse—by definition, it'll get worse until he dies—and in a radio interview, the Cowboys legend strikes a delicate balance between frustration at its inexorability and acquiescence toward how he got here. "I'm in a battle, obviously. I got diagnosed with CTE and it's very frustrating at times for me. I've got a good team of people around me, my wife and kids, who work with me. When you've been in this town for so long and I have to go to some place I've been going to for many, many, many years, and then all of a sudden I forget how to get there. Those things are frustrating when it comes to those things. I understand that I'm combating it, trying to get better. But, you know, some days are good. Some days are bad. "I signed up for this when, I guess, I started playing football so many years ago. But, obviously, not knowing that the end was going to be like this. But I love the game. The game was good to me. It's just unfortunate that I'm going through what I'm going through. I'm in the fight, man. I'm not just laying around letting this overtake me. I'm fighting. I'm in the battle. I'm hoping we can reverse this thing somehow." Dorsett says he sometimes gets frustrated with the NFL's rule changes in the name of safety, because it barely resembles the football he remembers, but if it's "in the best interest of the players," then he's all for it. He also says he'd let his son play football, but would urge him to be aware of his health and not try to play his way through concussions. It's tough to strike anything resembling a middle ground when discussing the inevitability of brain trauma in football and the NFL's well-documented attempts to cover up the research. Dorsett seems like he's found a decent place. Still, his acceptance doesn't make this any less sad. "It's painful, man," Dorsett said when he first learned he had CTE, putting a diagnosis to his irritability and memory loss, "for my daughters to say they're scared of me." Nobody ever signs up for something like that.